Malaysia Real Estate Agent / Property Negotiator Asyraf's Property Listings | ACEAKL ESTATE AGENCY SDN. BHD. PARTNERING WITH THE RIGHT REAL ESTATE AGENT CAN MAKE THE ALL DIFFERENCE. I am a Full Time Real Estate Agent. Serving my clients with Speed and Responsiveness are my passions! Presently, I specialize in Residential and Commercial properties at Klang Valley. I start in this industry consequently since 2014, with my properties knowledge, experience and dynamic strategy, I believe we can work together to fulfill your needs. WELCOME all inquiries about the property which not only limited to SALE/RENT, Valuation, Mortgage and Refinancing. Partnering with 6 major banks to support our clients. I have associate Lawyer to attend all kinds of Real Estate Legal inquiries and conveyance matters. As responsible and aggressive Real Estate Advisor, I always ready to serve you. I AM The Best Real Estate Service Provider who could offer best solutions to your real estate needs. In order for me to serve you better, please feel free to contact me now at Mobile 013-930 1988. 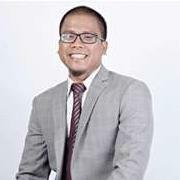 Yours sincerely, Asyraf Ja'afar, Senior Real Estate Negotiator ACEAKL ESTATE AGENCY SDN. BHD.